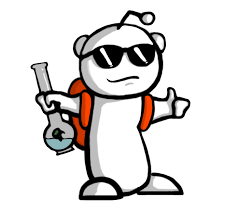 Reddit is one of the most popular sites on the internet. In February, 2016 alone, the site garnered over 139,323,527 page views. This is especially important when you recognize that the site offers an option for people who want to advertise on Reddit. 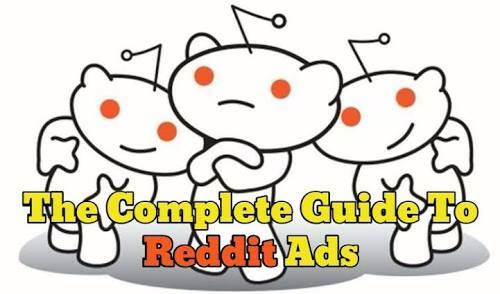 In this article, we’re going to take a look at how you can start using the advertising platform provided by Reddit to make use of those huge traffic numbers. We’ll look at the rules that you need to follow, in order to appeal to the Reddit crowd. But, we’ll also look at how you can create targeted ads that will generate revenue. By the end, you should have the skillset needed to go out and crush Reddit Ads, while generating a profit for your business. Reddit, in its most basic form, is a community where conversation takes place. And, as with most online communities, they have their good points. In 2015 $772,000 was raised to help teachers. But, they also have their bad points, which you’ve probably experienced, if you’ve joined any kind of online forum. However, one thing that the Reddit community particularly dislikes is people ruining or interrupting a discussion by trying to blatantly sell something. Thankfully, with the use of Reddit Ads, you don’t need to jump in on someone’s conversation and suddenly start posting about your product. However, even with the use of Reddit Ads, you must still acknowledge how the community reacts to products that are being advertised on the platform. If your product is not good, then people will probably begin to spread the word. If you’re using methods that could be seen as ‘spammy,’ or intrusive, then you’ll also potentially begin to see ‘Redditors,’ talking badly of your product and even your company. It’s worth saying that if your customer service is bad, Reddit users are also going to bring this up. Thankfully, Reddit has provided some tips on how to deal with all of this. It’s worth reading those tips, because Reddit represents a massive opportunity and it would be a shame if you let all of the potential challenges put you off. After all, Pocketderm managed to achieve 220% growth in customers, after two months of advertising. If you learn how Reddit operates, you could experience similar success. As is the case with all forms of online advertising, it is essential that you take some time to figure out who your target audience is. Failure to do so is going to result in you showing ads to people who don’t care for them. This can lead to people either not clicking on your ads, or people clicking on your ads just out of curiosity. Both are bad scenarios – the former can cost you lots of time and the latter lots of money. Normally, if you’d want to avoid this and create ads that are hyper targeted, generating a detailed Buyer Persona is necessary. Yet, while this may be useful for other paid advertising platforms, it is not as necessary for Reddit. Initially, when setting up targeted ads on Reddit, all you need to do is to figure out what interests your target audience has. A ‘sub-reddit’ is a discussion based around a specific topic. Just for reference, I’ve also highlighted an ad that is being shown in this subreddit. There are a lot of subreddits in existence. As of writing this post, there are around 822,819 subreddits. Because we’re going to be advertising based on subreddits, we don’t need to worry about keywords or the specific demographics of our audience. You just need to list 7-10 interests of your ideal customer. It helps to list this many interests, because some ‘subreddits’ don’t have the pageviews needed to generate adequate results. We’ll later cover how to find sub-reddits. You need a Reddit account if you want to create ads on the platform. Refrain from using a personal account. Take the time out to create a Reddit account used purely for business. You then have to go through the initial stage of creating your ad. You’ll need to provide a thumbnail for your ad. You can either provide a picture of your face or of the product you’re promoting. You’ll then need to focus on writing a compelling title for your ad. Just for reference, here are some ads that have done well on Reddit. Notice the style of the ads. They’re not that pushy and aggressive. The copy is pretty laid back and somewhat humorous. When writing the copy for a Reddit ad, try and compose something that you’d write if you were trying to convince a friend to buy something from you. A ‘link’ post type is just like a normal PPC ad, whereby someone clicks on the ad and they’re taken to a website or landing page. A ‘text’ post type is where the people are taken to a Reddit page that has some copy written on it. Here’s an example of a ‘text’ post type, from Ryan Luedecke. If you’re going to use a ‘text’ style ad, make sure that you are very specific about what you are offering. Just let them know what you have, why it’s good and how to get it. Don’t try and be sophisticated in your approach to selling here, as Reddit users don’t really like that kind of thing. Once you’ve selected your ‘post type,’ you then need to set up the targeting. As you can see, you have the option to target by interests or by subreddits. When you pick one of these interests, you’ll be told what subreddits your ads are going to be shown within. While picking ‘interests’ might make it easier for you to target your ads on Reddit, it might not be the best option. When you select an interest, your ad is going to be shown in various subreddits. But, not all of these subreddits will resonate with your ad and the product it is promoting – leading to some of the targeting related problems we discussed earlier. Earlier, we talked about writing down 7-10 interests, based upon the people you want your ads to be shown to. So, for a marketing course, such interests might be – marketing, entrepreneurship, online business, email marketing, paid traffic and SEO. What you’ll want to do is to find subreddits that align with these interests. You can do that by visiting https://www.reddit.com/reddits/. Type in one of the interests that you listed earlier and you’ll be provided with some related subreddits. The temptation, here, is to select a subreddit that caters to the exact audience you’re going after. The problem, however, is that such subreddits might not be attracting enough visitors. And, if there’s not enough visitors, you won’t be able to generate enough clicks on your ads to make running the ad worthwhile. Therefore, you’ll want to focus on subreddits that have at least 5,000 subscribers, and, ideally, 10,000. You can tell how many subscribers a subreddit has by visiting one and looking at the right sidebar of the page. There will be a section there that tells you how many people have subscribed. Within the same sidebar, you’ll also see some related subreddits that might also be worth targeting. You can also find subreddits by using the search bar that’s found on nearly every Reddit page. After typing in a relevant interest, you’ll be shown some subreddits worth checking out. Make sure that you click on ‘next,’ so that you can view some more subreddits. Keeping track of subreddits can be difficult, so here is a great Reddit Ad planner that will help minimize confusion. Note: You’ll need to create one ad campaign per subreddit. This is relatively easy to do, though, thanks to the way the Reddit ad system is set-up. You then need to pick a location for your ads. If you want to, you can even target at the ‘state level.’ Your success with this, however, depends on how many people are visiting the subreddit you have chosen and are also from your targeted geography. You then need to set the budget. $20 should be more than enough to let you know if a campaign is working or not. In terms of scheduling, don’t worry about it. Leave it as it is. Reddit works on a CPM basis, meaning that you pay per 1,000 impressions. You’re not really provided with a recommended figure you should be paying, like you might be used to with AdWords or Facebook ads. However, the figure $1.20 is provided, and it’s worth sticking to, for the moment. If, after running your ads for a day or two, you find that clicks or traffic quality are low, consider raising the CPM figure by a $1 or $2. Then, let the ad run for one more day and see if there has been a change in the metrics. Once you’ve finished setting up your ads, you’re then provided with a summary. Click on ‘create.’ Then, scroll down and click on pay. You’ll then be asked to input payment information and wait for Reddit to approve your ads. Like all paid traffic campaigns, you’ll want to do some split testing, to make sure your ads are optimized to the highest level. One thing that you can do is experiment with promoting your offers in different subreddits. You’ll also want to experiment with pricing your bids higher. Using different copy and different thumbnail images is also worth a go. If you’re struggling to come up with good ideas, when split testing copy, look at some of the popular Reddit posts in your chosen subreddit and try to slightly borrow from them. You may also want to experiment between a link post and a text post. When you’re creating a text post, it helps to provide some background information about who you are and why you have created the offering. This makes your company more personable, something that is welcomed on Reddit. Here’s a great example from Ryan Leduckke. You might also want to experiment with running some special offers that are only available to Reddit users. This will help you to get some of your first customers through the door and they may be willing to share some positive reviews about your product on Reddit. Even if they don’t, a good experience will create the opportunity for them to become long term customers as a result. On top of all of the above, make an effort to keep a close eye on any discussion that is taking place, in relation to your ad. Redditors love to comment on posts. In 2015 alone, there were 725.85 million comments left on the site. If there are any comments or concerns related to your ad, make sure that you quickly swoop in and deal with them. This will let the redditors know that you value their attention and that you’re a company that prioritizes customer experience. Periodically, search Reddit, using the name of your brand, to see if there is a discussion related to your brand that’s taking place elsewhere. Though each ad platform requires a different approach, Reddit is special, because you have to acknowledge the way that the community operates first and foremost. If you don’t have any ‘Brandiquette,’ then there’s a good chance that your ad will crash and burn. However, after reading this post, you should be free from that concern. If you pick the right subreddits, if your product is good and if your copy is appealing – all should go well. Once you start to have some success with Reddit ads, you’ll want to experiment with different approaches to see what works best. The ads are relatively cheap, so there’s no real worry of spending too much, too quickly. 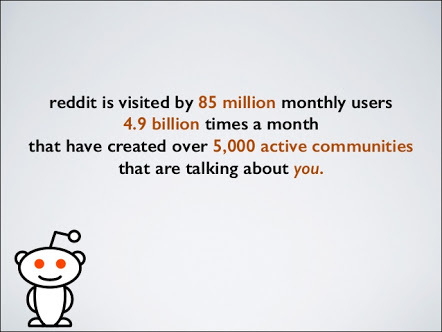 So, start using Reddit ads today and see if they can benefit your business. 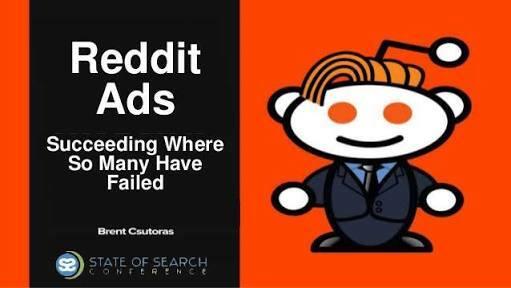 What have you experienced when it comes to using Reddit Ads – do you have any success stories? Next Post How to Create Insanely Good Online Content?